The SOTG of the Australian Special Forces are the first recognized soldiers to wear MultiCam Uniforms in Afghanistan. 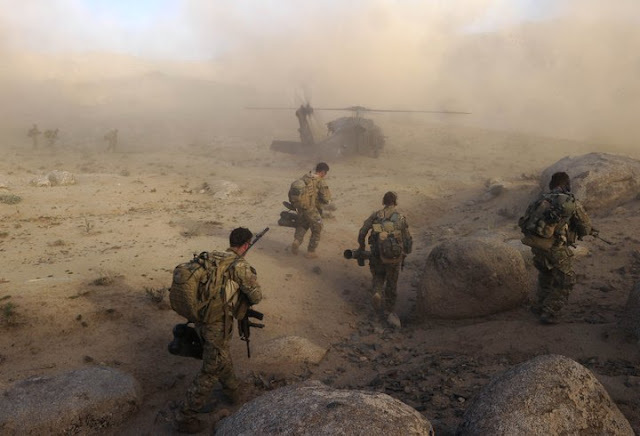 Here is a recent photo of them operating in Kandahar Province. We thought this was a great shot given the recent notice that the Aussie Department of Defence is seeking out their own variant of the MultiCam Pattern for all of their troops in Afghanistan. The US Army Pattern has already garnered wide spread acceptance from this Special Forces Group. The SOTG Soldiers are departing after a local meeting in conjunction with their hunt for Taliban in the area. They are working in collaboration with the Afghan National Army to secure the area from insurgents.